When Unwound broke up in 2002, the pioneering post-rock band left a hole in the musical firmament that dozens of acts have been trying and failing to patch up in the years since. Try as they might, they could never quite reach the perfect balance of tension and release, spiny and smooth that made the Olympia-based trio’s work so damn powerful. Bringing together two ex-Unwound bandmates Justin Trosper and Brandt Sandeno, Survival Knife is another bracing and energetic shot to the dome by these singular songwriters, and one that they are eager to embrace. The quartet already garnered a great deal of attention. The West Coast has already had a taste of what Survival Knife has to offer thanks to plenty of NW dates and a tour the band did last year with Modest Mouse. 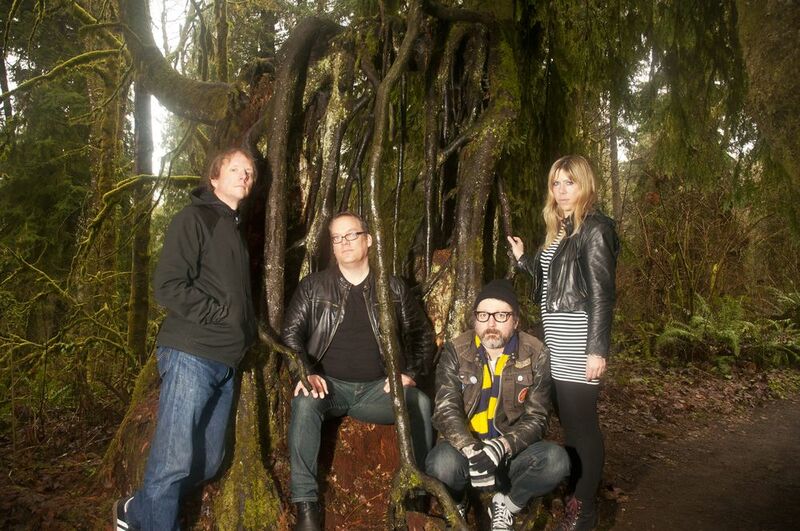 And the world has been well-primed thanks to the band’s 7” releases on Sub Pop and Kill Rock Stars. Once Loose Power is in the world, there will be little hope of holding back and soon we’ll all be following Survival Knife into the abyss.